Polos, Hoodies, T Shirts & Sweatshirts etc..
at Messingham Sands on Wednesday the 25th of May. When the final hooter went, with the rain easing only slightly, the weigh in showed that Oak Tree had produced the top 3 weights, with Paul Wright emerging as the winner from peg 30 with 193-12. 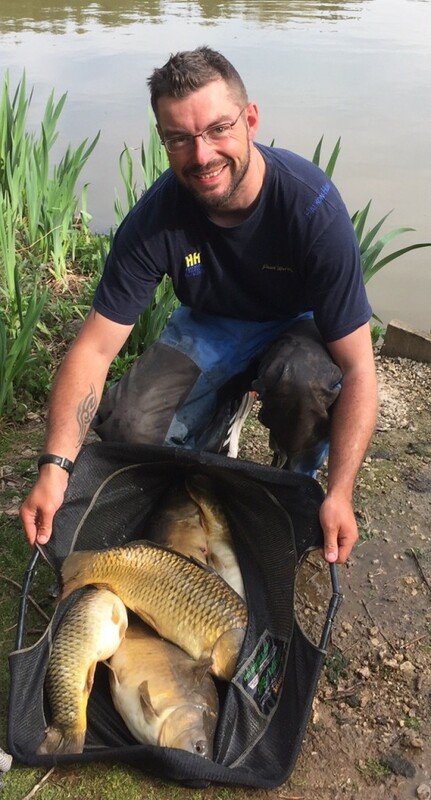 Paul, a Decorator from Doncaster, found that an early switch from 6 to 8mm pellets proved crucial as the smaller fish left his bait alone for the bigger carp to snaffle up, giving him his ticket to the semi-finals in July.